“Merry Christmas!” While this is the first broadcast of 2015, the hosts explain that this episode is actually being recorded on Christmas Eve. Still, as it still is the first broadcast of the year, Chii says she’s sure she isn’t going to flub her words even once during the show, partly also thanks to her recent enthusiasm towards rapping and “rhythm.” Kumai-san expresses doubt at this claim, and as probably goes without saying, Chii’s confidence turns out to be completely unjustified not many minutes after. January marks the beginning of the final Hello!Con tour for Berryz, and our hosts were actually rehearsing for it prior to recording this episode. Chii says she has something she feels very sad about regarding this rehearsal: even though it’s Christmas, the members received no cake, no nothing from the staff! Chii couldn’t believe it. Lack of cakes aside, the two talk about how there are now so many new members rehearsing with them. “It’s overflowing with youth!“, Kumai-san describes. But the rehearsal space seems to be overflowing with feelings of something else as well: Kumai-san has noticed how members of the staff — many of them who have been watching over Berryz for many years now — have been looking at them as they rehearse, some with perhaps a hint of nostalgia in their eyes. Chii wishes to share something with the listeners before the first corner of the show. The other day, a fan who attended an individual handshake event with Berryz Koubou shook hands with Kumai-san and told her that they’d become a fan of the group through listening to BZS1422. The two were very happy about this, and they agree: if even one person became a fan of Berryz through BZS1422, then these 129 episodes of the show have all been worth it. Chii: But for some reason, that fan didn’t come and shake hands with me. Chii: Let us move on to the first number of this week’s BZS1422. Song: Berryz Koubou – Love together! Chii asks Kumai-san how her condition is today. Kumai-san can only say she’s surprised that they’re kicking 2015 off with this corner of all things. Still, she says she’s prepared, and thus Chii asks her to get right down to it. Chii: Wait, you did folk dancing? Kumai-san: You didn’t?! Like at school sports festivals? Kumai-san: So anyway, when were doing folk dancing, I was always made to be in a male role! But when you get to around third year of junior high, you get to have a bigger say in things like that, which means I finally got to be in a female role. But then I’d be paired with a really short boy from the first year or something, and he was having so much trouble with me as his pair. Also, with singing… you’re split into alto and soprano groups, right? I have a low voice, so I’d always be put into the alto group. Plus, my personality wasn’t very girly either, and boys didn’t really treat me as a girl. And when I’d be walking outside… I really like monotone clothes, so at a glance people would just think I’m a boy. So this one time this girl walked up to me, took a glance, looked surprised to see that I was a girl, and quickly walked away. Chii: Like, she fell in love with you at first sight?! Kumai-san: I’m not sure, but I think so! I was sure she’d figured I was a boy based solely on my height. In any case, people often mistook me for a boy. And I thought that was no good — “I’m a girl, too!“, I thought. So then I started wearing more one-piece dresses and feminine clothes in general. After that, people were no longer confused, and my hair grew longer, too, so everything was good. But the other day I got into a taxi, and the taxi I’d gotten in was one that has a machine that shows you your gender — if a woman gets in, they press the “women” button. Chii: The driver, you mean? Chii: … The outcome was…? 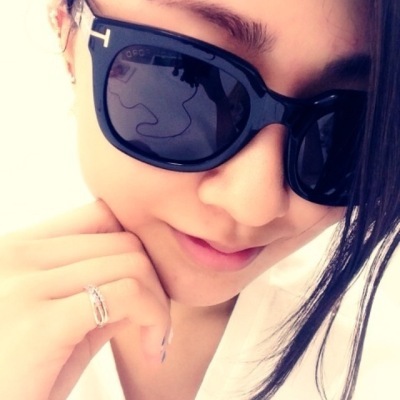 Kumai-san: That day ended with that person not being able to tell my gender. Fan mail #1: H!P has recently added lots of new, young members to its ranks, so the listener asks which members the hosts would want to make into their little sisters and why. 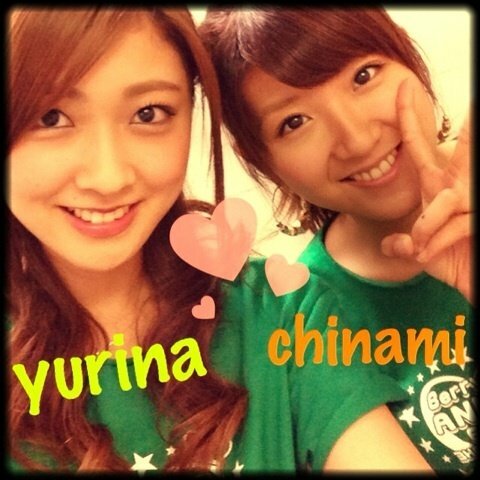 In recent rehearsals, Kumai-san has discovered one member she could picture herself becoming closer with: Ishida Ayumi. Ayumin actively tries talking to Kumai-san, and the two are often exchanging glances which makes Kumai-san happy. Plus, there’s not a huge age gap between them either. For Chii, it’d be Suzuki Kanon. Kumai-san commends Chii for her choice, praising Zukki for how she is always laughing. Chii thinks it’d be a great deal of fun being around her every day. The two complain about how there are just so many new members lately, they haven’t really gotten many chances of properly talking to all of them. 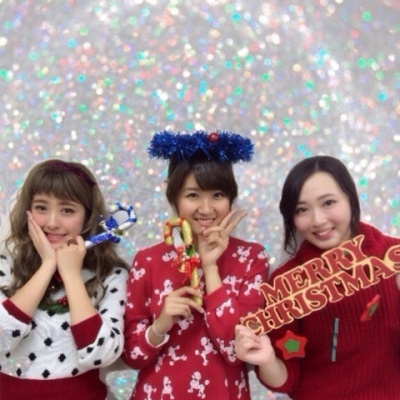 Fan mail #2: The listener attended Berryz’ Christmas event. He talks a little about his feelings on the event — he apparently laughed so hard, his abs are going to become like Maimi’s. This leads into a question about the “three fools” of Berryz, and about how Maasa reportedly thinks she doesn’t belong in this trio along with Chii and Miya. The listener asks if this rumor is true, and if so, he asks Chii to make Maasa understand that she firmly does deserve a spot in said group.